After ten days of releasing iPhone 4S , 22 countries have been added to the list of the countries where pre-orders were available for the phone. However demand on the phone continues even today because it is not available worldwide yet. As for now Apple has announced that in January-13 the phone will be making its way to China and other countries. As the matter of the fact the smartphone will be launched before the Chinese New Year (January 23rd), Chinese people will not have to think too much about presents for lovely people. The phone will be sold through the Apple Online Store, Apple’s retail stores and select Apple Authorized Resellers. Pricing is not announced in local currencies, although it is listed as $199, $299 and $399, depends on flash memory unit - 16GB, 32GB and 64GB models. Consider iPhone 3GS is free! A two year contract is required to obtain the phones from participating carriers . The phone will be available in other countries as well. These countries are: Anguilla, Antigua and Barbuda, Bolivia, Botswana, British Virgin Islands, Cameroon, Cayman Islands, Central African Republic, Dominica, Dominican Republic, Ecuador, Grenada, Guam, Guinea Conakry, Ivory Coast, Jamaica, Kenya, Madagascar, Mali, Mauritius, Niger, Senegal, St. Vincent and The Grenadines, Trinidad and Tobago, Turks and Caicos and Uganda. But China is the key market among those countries because the addressable market in China for potential smartphone users, which includes iOS and Android, is 122 million! 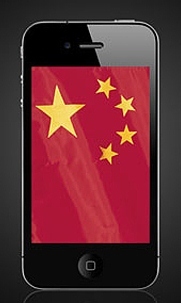 Besides, China is the second largest market for application store downloads. Other important things connecting to the issue is Apple’s payment policy in China and the company’s store in Shanghai .